Loksado other than famous for its unique tourist attractions, namely Bamboo Rafting was also has a charm other beauty that is not less unique and interesting to be visited. 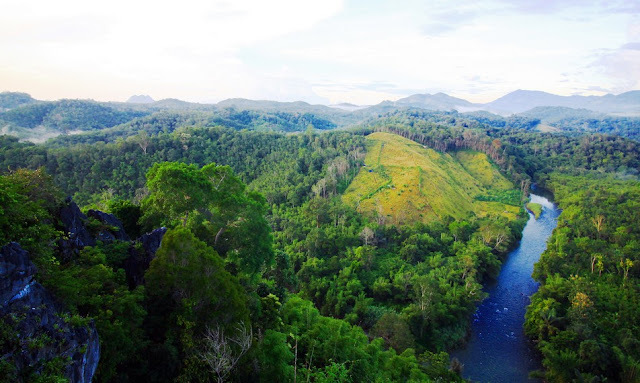 The beauty of Amandit River in Loksado Subdistrict, Hulu Sungai Selatan Regency, South Kalimantan, besides can be enjoyed by rafting attraction can also be enjoyed from altitude. 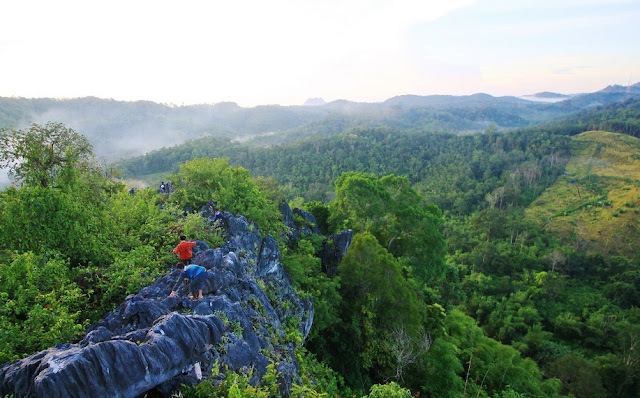 Visitors can enjoy the natural beauty of Loksado from a height by climbing Bukit Langara. The hill that began to be visited by the past two years, is located in Lumpangi Village, Loksado Subdistrict and is about 10 km from Kandangan Town (capital of Hulu Sungai Selatan Regency). Trekking time required to get to the top of this rock hill is about 30-60 minutes, depending on the physical condition of each visitor. Previously, visitors will first explore the teak plantation milih local residents. Red-ground pathways in this garden have a fairly steep slope and slippery. The condition of this dirt road will be more slippery in the rainy season. 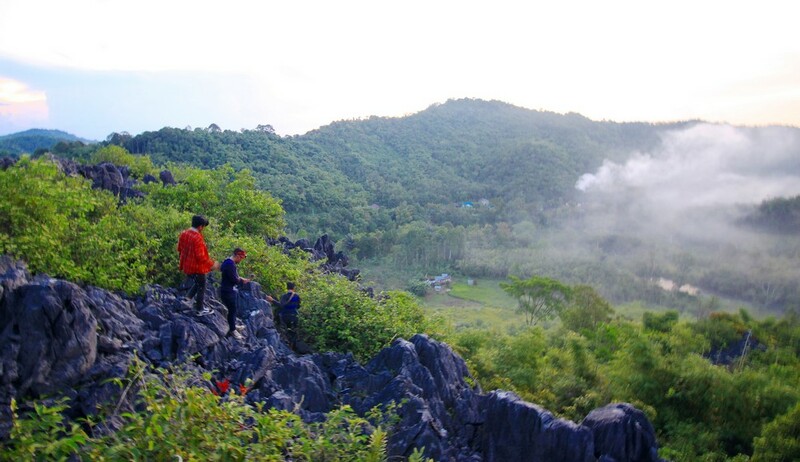 Shortly after following the slippery red dirt track, the next track is a sharp and steep karst rocks. Some points of the path also requires us to fold the rocks which next to it is the side of the ravine is steep and deep. Here, visitors must be careful in choosing a foothold, because if a little careless can be fatal later. Therefore, it is advisable for visitors to use appropriate footwear due to its slippery ground tracks and sharp rocks. 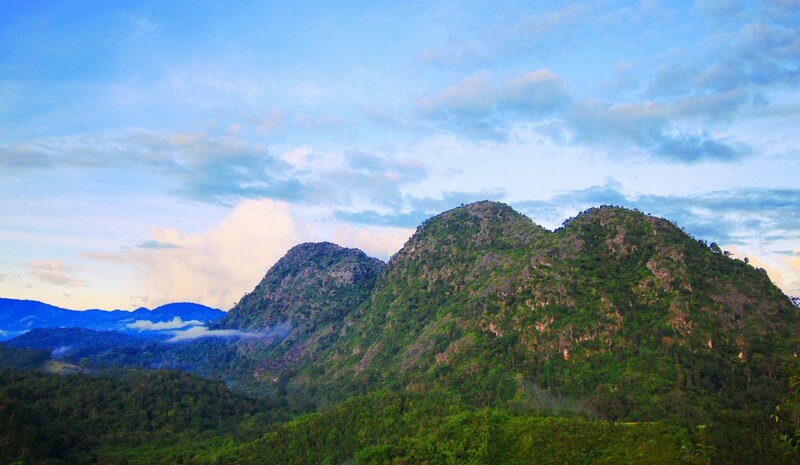 After a fairly tired climb, on the right side you will be immediately greeted by the glorious view of Bukit Ketawang clad in lush trees. Beneath it also appears the flow of the Amandite River that looks elegant split the hills. A beautiful blend of rivers and hills that is amazing and eye-catching. Very worth the effort made to reach the top of the hill. 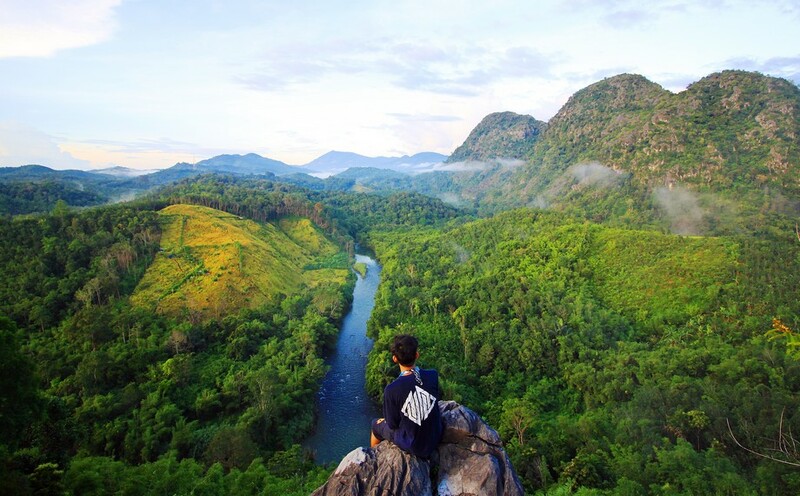 From a distance was seen seen Meratus Mountains along ± 600 km² that stretches beautifully. Decorated with lush green trees, making the 360 degree panorama from the top of Bukit Langara is perfect. 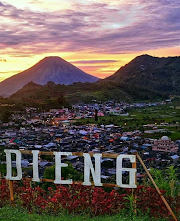 With its beautiful charm, this hill is also a favorite spot to witness the beauty of sunrise and sunset from a height. 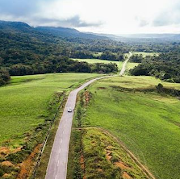 Long enough before reaching Loksado, there is an intersection which when straight leads to Loksado and if to the right will lead to Batulicin District. Next drive your vehicle towards Batulicin. Shortly thereafter, not far from the corner there is a pointer indicating that we are not far away from basekamp Bukit Langara. 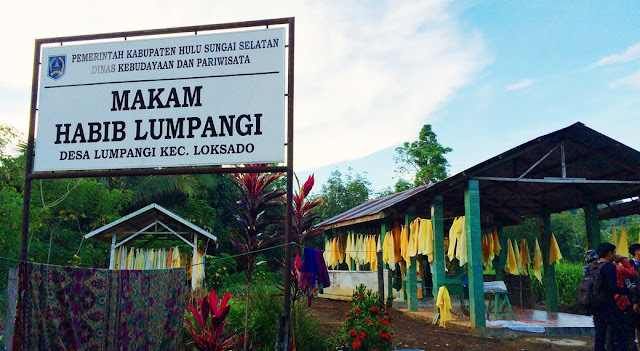 You can park your car near the Habib Lumpangi Tombs area. Visitors will be charged motor vehicle parking fee of 5,000 rupiah for motorcycle, while 10,000 rupiah for private car. There are some stalls around the hill location, but visitors should bring snack foods, especially drinks before. Also reminded to the visitors not to throw garbage around the tourist sites. It is also prohibited to leave anything other than a trail and take anything other than a photo.